Established in 2005, OFX brand might seems like a young company, but is actually a wholly owned subsidiary and successor of the OzForex Group. Established way back in 1998 Ozforex, in turn, is one of the top providers of international payment services for business and retail clients. It is also a well-known technology provider, powering money transfer services such as Moneygram, Travelex and ING Direct, among others. OzForex is a truly global company, with offices in every business-wise relevant corner of the world. It is also publicly traded on the Australian Securities Exchange. Currently, there are some 170 people working for the OzForex Group, including the team operating under the OFX brand. The group has registered more than 700,000 client transfers last year alone, covering 6 continents. No fees (or low fees (for business transfers) according to the amount). The currency transfers offered by OFX only require a bank account to be set up by the payee. By providing the details of this bank account to a partner, the payee is essentially ready to receive funds. 1) Register, get verified and log in. After you’ve registered and they’ve verified your identity, you can begin transferring online. 2)Enter your recipient’s bank account details and lock-in your transfer. 3)Simply send your funds to OFX via Debit Card (for personal transfers only) or Electronic Funds Transfer and they will do the rest. OFX has a minimum amount limit as low as £100. OFX is an online currency broker, which offers payment services with zero fees, featuring better currency exchange rates than banks. As such, it is a potential solution for individuals, small and medium businesses, freelancers and online sellers, allowing them to pick up their monies while saving a great deal on commissions and often borderline-abusive currency exchange rates. The savings can be significant even over a single transaction, and over multiple transfers, they can make an even bigger impact. While the exact exchange rate that one will get on his/her OFX transfers isn’t set, as it depends on a number of dynamic factors such as the amount of money transferred, the official exchange rates and the currencies involved in the transaction, the operator promises better rates than banks. Theoretically, one will save on the transfer fees, as well as on the exchange rate – and that’s the main selling point of this payment solution. All the numbers pertaining to the transaction are provided upfront before the payer actually confirms the transaction. *Charges may occasionally be applied by a third party bank when transferring the funds to OFX or before the funds arrive in the recipient account. As you see in the table, the combination of the transaction fee and the exchange rate used by the transfer agent may drastically change the final amount that you or your recipient will see on the account payslip. For example, when Werner who is currently working in Liverpool needs to return a debt to his friend back home in Brussels, he can do it in two different ways: the “classic” way using a regular bank transfer, or the alternative option using OFX. The classic way means going to the bank and initiate a bank transfer from the current account. In this case, Werner will need to set an appointment at Santander UK where he holds his salary account within their working hours, provide the ID, and sign a bunch of papers to start the transaction. Depending on the transfer details Santander Bank may charge him anything from £10 to £25 as a transaction fee for international transfers and their exchange rate for GBP-EUR is 1.056 plus a markup and additional fees. This way, a few business days after, Werner’s friend will see his account topped by roughly €10,520 out of £10, 000 sent. Alternatively, one can use a transfer service, such as OFX. Account opening is free and online so Werner won’t have to leave his house: after registration and an online quick authorization, his account will be up and running in no time, with his current Santander bank account connected. OFX offers a way better deal with £0 transaction fee and a fair mid-market GBP-EUR exchange rate of 1.09. Within 24 to 48 hours on average, and same £10,000 sent by Werner, his friend in Brussels will receive approximately €10,905, which is almost €400 more than via a bank. As you see in this example, using the fair mid-market range (close to the exchange rate found on Google) in combination with no transaction fees, may change the final transfer amount completely. While OFX does feature same-day delivery on some payments, most transfers will take 1-2 days, with the exception of transfers made to Thailand, which can take up to 4 days. As the OFX website claims, 80% of the transfers proceed within 24 hours. OFX is part of a global company (OzForex) and is fully licensed to offer their services in all the jurisdictions in which they operate. They have to adhere by some of the strictest standards in payment services, which means that all transfers are safe and secure. For starters, OFX is licensed by the UK’s FCA (Financial Conduct Authority). 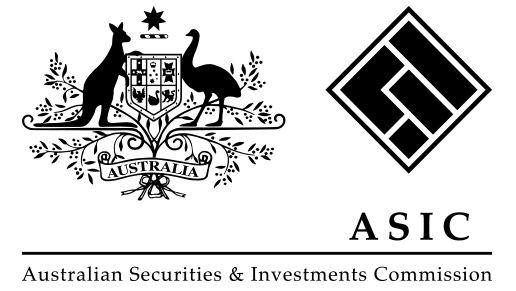 It is also regulated by the Australian Securities and Investments Commission (“ASIC”) and holds an Australian Financial Services Licence. 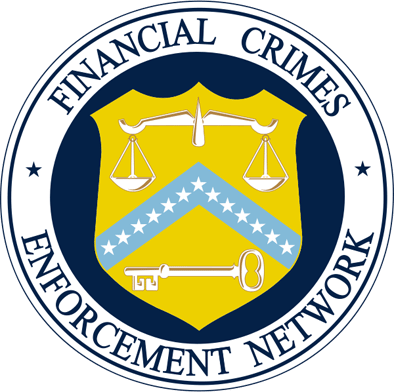 OFX’s US operation is registered as a Money Services Business in the United States with FinCEN and is registered as a non-depository financial institution. In addition, OFX is registered in Singapore and is regulated as a remittance business by The Monetary Authority of Singapore (MAS). The operation is insured against a sudden bankruptcy. In the case of such a catastrophe, those with pending transfers will have their transactions completed/their funds returned. OFX is part of a global company (OzForex) and is fully licensed to offer their services in all the jurisdictions in which they operate. They also possess a Money Laundering Regulation Certificate of Registration. OFX‘s online platform features 2048-Bit SSL encryption, and it is secured and protected by Thawte. OFX fraud system utilizes a multi-layered approach to detect and prevent fraud by detecting phishing, malware and fraudulent apps that are targeting the product and the customers. Secure Socket Layer (SSL) encryption creates a secure connection with your browser when you register and login into the online services. OFX transfer more than 55 currencies, including most standard ones like USD, CHF, GBP, EUR, JPY, AUD, PLN, and ZAR, as well as a number of exotic currencies like ILS, HUF, BND, SAR, and TWD. Their money-transfer services cover most of the globe, over 190 countries, with the exception of a handful of countries like North Korea, Afghanistan, Republic of Congo, Iraq, Iran, Belarus, Burma, Rwanda, Somalia, Libya, Lebanon, Liberia, Zimbabwe, and Sudan. OFX offers handy solutions for the “online sellers”. Due to low exchange rates and multiple transfer options it is designed to help the online businesses manage cash flow and save on overseas payments or receivables. When selling goods or services online and need to grow the business internationally you can benefit from OFX international payment solutions for the online sellers. If you have an online shop or if you’re providing freelance services — you can access receiving bank accounts abroad, pay invoices and suppliers, and plan transfers ahead for occasions that offer the most advantageous exchange rates. OFX offers local receiving accounts in different currencies (USD, EUR, GBP, CAD, AUD, and HKD). Once everything is set up, you can start selling to buyers around the world. All you need to do is to provide your bank account details to your partner, who can be located in any corner of the world. On your end, all you will see are payments landing in your account, without any commission cut for the transfer, and with very little value lost on the exchange. Exactly what sort of currency exchange rates you’ll get, depends on a number of factors, of which the amount of transferred currency is rather significant. The more money one sends, the better conversion rates he’ll get. The only way to find out exactly how good a rate one gets is to Get a Quote off the OFX website, for free. If you are selling online, you can use your OFX Global Currency account to collect the money you made from sales on international marketplaces, such as Amazon, Rakuten, eBay, Walmart, Ujet, PriceMinister.com, Newegg, Buy.com, Game, Wish.com, CDiscount.com, Rue du Commerce and Shop.com. OFX offers good rates for executing payments to international suppliers. You need to define the exact transfer amount, the recipient, and the desired currency of the transfer. Subsequently, you will be offered the best possible rate based on the live exchange rate of the day. The OFX site provides rate alerts and a selection of bank accounts meant to make the process easier for the payer. OFX is a trusted partner for many different purposes: if you’re buying property abroad, transferring overseas earnings home, making private investments, paying bills, booking travel services, or remitting a recurring payment — OFX’s global network of bank accounts ensures that your funds are converted and delivered to your recipient quickly and securely. Set up an account in minutes and start transferring right away. And when you need help, support is available 24/7. Take advantage of the global network of financial institutions and an extensive list of currencies to support your next transaction. No OFX fees. No surprises. Transparent upfront cost. OFX provides it’s business customers with a range of specialized business and risk management transfer options. OFX’s International Business Payments will give you access to the interbank currency exchange rates, a host of risk management products and a personal currency dealer. International Business Payments also come with 0 transfer fees and they only require a bank account to land in. OFX helps businesses of all shapes and sizes but is mostly designed with small and medium business owners in mind. Get money to your overseas suppliers quickly and securely. Simplify your payments to overseas staff with the ability to pay up to 500 employees with one click, superior exchange rates, and 24/7 customer support. If you’re flexible on the date of delivery for your funds, you can use the Limit Orders to select a rate that works best for your business. When the rate is right, OFX will transfer your funds automatically, so you don’t have to worry about missing out. Currency markets can move quickly and unpredictably. To be on top of everything, make sure you sign up for the OFX market updates. They will watch the market for you and send you insights and analyses directly to your inbox. Following the strict regulations, OFX naturally requires the customers to register before making a transfer. But the process is painless and easy as 1, 2, 3. 1) Register. Fill in your details online – there’s no cost or obligation to make a transfer. 2)After you register, an OFX team member will call you to complete the setup and answer any questions you have. To register, they will require your full name, DOB, current residential address, occupation, email & contact number. Most of the time the customers’ verification is done automatically and fully online in the “eKYC” manner so you won’t need to send any paperwork. However, if representatives need any documents for approval, they may be requested. If you’ve sent the papers, OFX claims to respond back to you within a few business days after receiving them. However, they kindly mention that if it’s taking longer than this, and you need to make an urgent transfer, you can get in touch at +44 207 614 4194 and get assistance. Customer support can be reached through email and phone 24/7. There are quite a few UK and international numbers available, though there is no live chat support for the time being. However, there’s a huge FAQ section on the website, answering the most possible questions. Typically, the OFX customer support is rated very high by the users, mentioning that their assistance was dedicated, prompt, professional and very helpful. OFX is a hassle-free and quick payment service, fully regulated and secured. As such, it does indeed offer a viable way for private users, as well as online sellers and SMB’s to profit from the fee-free structure and fair mid-market exchange rates. To send money over the board, to pay suppliers, to purchase goods and services, as well as to receive the revenues through the creation of a simple bank account, in the own local currency — all that is easy, fast and effective with OFX, with the assistance of their praised customer support team. Definitely, a great service worth being in one’s shortlist.